Some of Chandos staff joined Woodstreet Mission this week as they hosted their next Book Club event, the chosen topic being ‘Construction’. The children were also joined by Curtis Jobling, Designer of Bob The Builder. 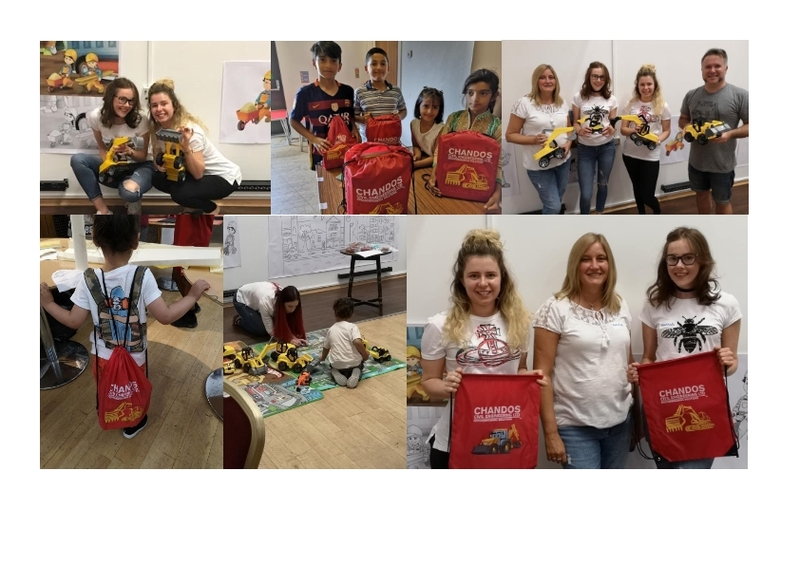 A fabulous day was had by all and the children thoroughly enjoyed their construction day, building with Duplo, doing jigsaws, colouring in diggers and dumpers etc, playing with many construction toys ……….. the list goes on. Families affected by poverty are often unable to buy books for their children, some having the additional challenge of being unable to pass on reading skills to their own children as some parents are unable to read well themselves. They can spend as long as they want choosing books to take home and keep as well. Chandos provided each child with a lovely bag to carry their chosen books home. Chandos look forward to a long and happy partnership with Woodstreet and their mission to alleviate the effects of poverty on local children and their families.